A Ban of Service Robots? There are more and more service robots in "open" spaces. They are on their way in places that many of us share, and that are public. This poses various challenges. The present article addresses these challenges - from the moral and social points of view - and proposes solutions, among other things on the ethical, technical and organizational level, as well as offering assistance for roboticists and for legislative and political instances. Robots have long been machines seen only by few people, at least in Western societies. They were locked up in cages in factories, and used as tools for specific tasks, be it for bomb disposal or exploring of the environment. Industry robots and especially space robots or combat robots many people still only know from pictures. The situation is different with service robots. The use of vacuuming robots is widely spread, as are mowing robots for lawns, and pool robots for swimming pools. Their places of use are not special but ordinary, and more or less clearly limited and restricted "half-open" and "closed" spaces (that differ from computer games in as far as they are not really closed, but permeated by coincidences and bustling with people). Another species of service robots is now on its way aiming to achieve not only a high brand awareness, but also a high mobility and dissemination. In this article, I will deal with service robots operating in common and public spaces, and will outline social and moral questions as well as give solutions for specific problems - because certain problems become immediately apparent. The service robots with which we deal here are on their way in more or less complex surroundings and come upon many objects, which they must constantly assess - mostly in their function as autonomous or semi-autonomous machines - and they encounter people as well as animals. As it were, accidents and misunderstandings are inevitable. Some problems are addressed by information ethics, sociology and psychology, some solutions offered by machine ethics, which links ethics, robotics and artificial intelligence (AI). Therefrom may result guidelines for roboticists, as well as for legislative and political instances. 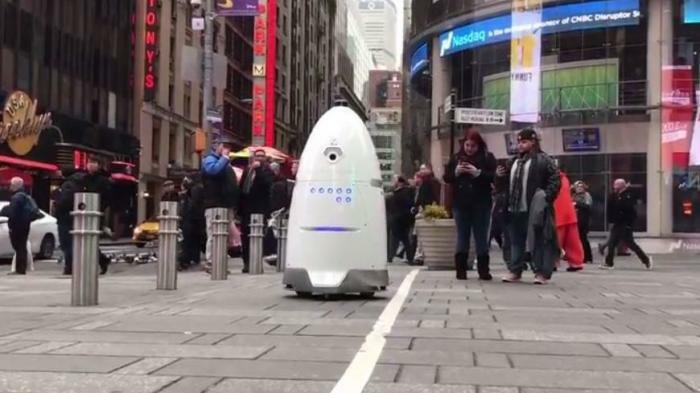 The focus is on robots with which we share sidewalks, paths of all kinds, squares destined for pedestrians, and public spaces in buildings and on sites. This eliminates, for example, drones (which mainly travel in the air, although they hinder rescue work near the ground every now and then, and even clash with vehicles) and autonomous cars. They all partly cause different problems, which have been dealt with already in various ways. Further species of robots that are not dealt with are such which are used in the home or in the garden, like the vacuuming or mowing robots mentioned before, or window and grill cleaning robots, as well as nursing and therapy robots, which are used in hospitals and nursing facilities . Then again, space and combat robots have their use in far too specific situations. What this article deals with are certain autonomous or partially autonomous service robots in "half-open" and "open" spaces or, as the title of the article proclaims, those one encounters in common and public spaces.